Ros joined Aberlour in 2015 and is their Director of IT and Digital. Prior to that she worked in the private sector IT industry for over 15 years – working as both a consultant and a project manager. 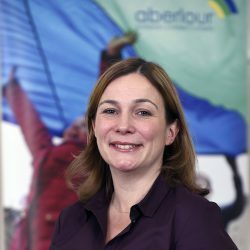 She is responsible for ensuring that Aberlour’s digital strategy is delivered in order to better serve the needs of the children, young people and families we support. She is passionate about finding new and innovative ways that digital can be used to enhance the service that both Aberlour’s service users and staff receive.